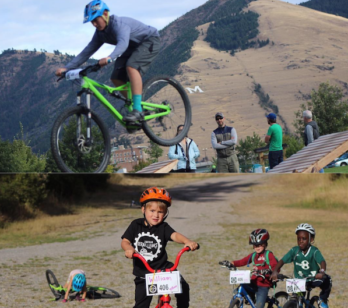 A bike skills park is a dedicated recreation area that includes bike trails, jumps and progressive skill features for all ages and skill levels. 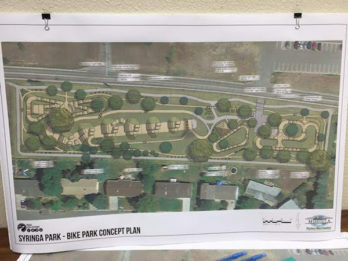 Generally, a bike park’s natural vegetation and terrain is left in place to minimize impacts on the environment and the neighborhood. Bike parks offer children and adults a fun way to play outside and stay active! 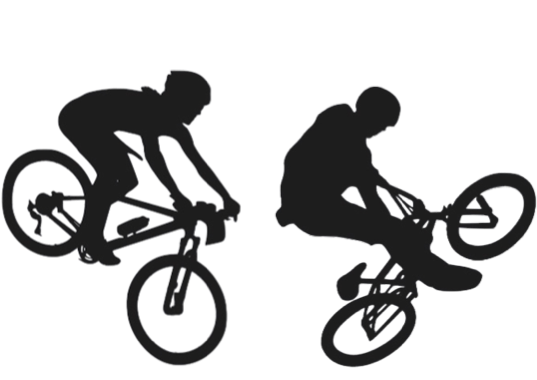 Progressive jump zone – includes beginner to advanced progression-oriented jumps with a mix of dirt jumps, berms and ‘slopestyle features’. Join us for drinks, all things bike, and sweet raffle prizes (including original artwork and a month of free classes at Momentum!). All proceeds go get us one step closer to building these parks ! Special thanks to The Dram Shop, I Ride for Tanner, and Friends of Missoula Parks! 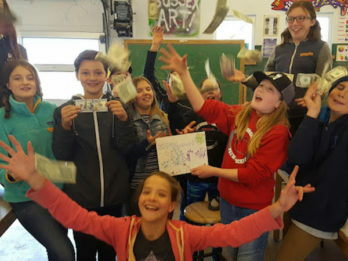 So excited to announce that a $50,000 RTP grant for Syringa bike park! Thanks to everyone who wrote letters of support and made comments on the link! Apparently we made a record for most number of community comments! Whoop whoop! Thank you! thank you! thank you parents! Tanner’s mom Kathy came to the kids lunch today and was completely blown away! She brought IRD4Tanner t-shirts for all of the kids and tried to make a connection with everyone.